Thunderbolt 4G Hotspot Delivers 5 or 8 Connections? 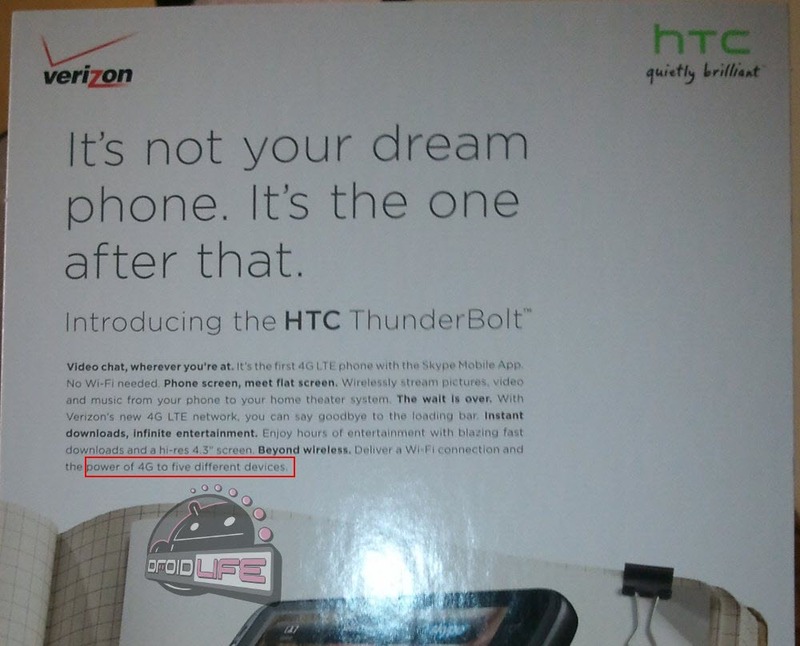 HTC Seems Confused. We are as bored as you are with this HTC Thunderbolt delay, so we’ll attempt to change it up and bring a little humor to the situation. We know that marketing materials and dummy units are arriving in stores right now, but this specific flyer gave us a good laugh. The device will be the first to act as a mobile hotspot on Verizon’s 4G LTE network, providing connections for up to 8 devices…err…is it 5 devices? We definitely know that the number is 8, but HTC’s element seems to disagree and mentions that it will deliver the “power of 4G to five different devices.” Silly HTC. Blame the marketing department for the delay! And actually on a more serious note, we are hearing from VZW insiders that the delay is more than likely due to the hotspot functionality not working correctly. When we broke the news on a push back, the 4G hotspot was also mentioned as no longer being on schedule and is the reason that the 14th will likely be missed.